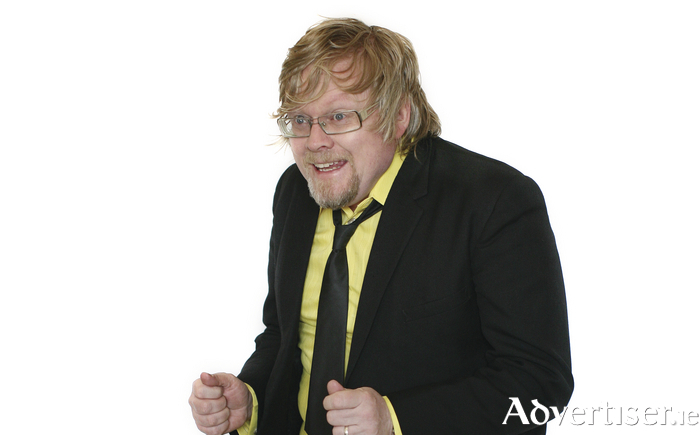 KEVIN GILDEA is one of the most significant figures in Irish comedy, having founded The Comedy Cellar with Barry Murphy and Ardal O'Hanlon; and written for Alexei Sayle. He plays Galway this weekend. Gildea, described by The Sunday Times as "highly original, explosively funny...challenging and provocative", headlines the Róisín Dubh Comedy Clubh tomorrow [Friday February 17] at 9pm. Gildea's mild manner and quirky absurdist viewpoint, create side-splittingly funny ruminations that have seen him performed all over the world, and see his Edinburgh Fringe shows regularly achieve critical acclaim and sell-out runs. He has also written for Irish Pictorial Weekly and appeared on The Stand Up Show and The Amnesty International Comedy Special. Support is from Darach McGarrigle, known for his dry wit; and Kevin O’Sullivan, whoo has been called "Ireland’s friendliest smoked buffoon". The MC is Áine Gallagher. Tickets are €10/8 in advance from Róisín Dubh; [email protected], Shop Street; and roisindubh.net; or €12.50 at the door.